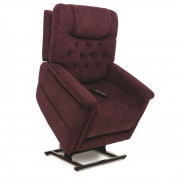 From the popular Pride VivaLift! 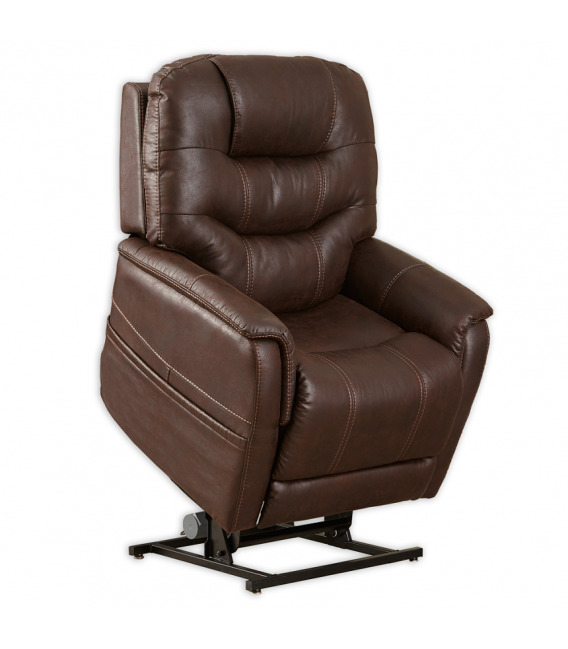 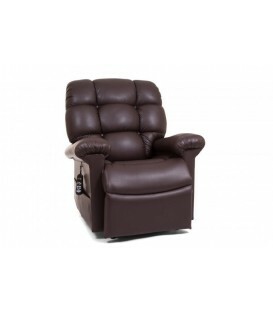 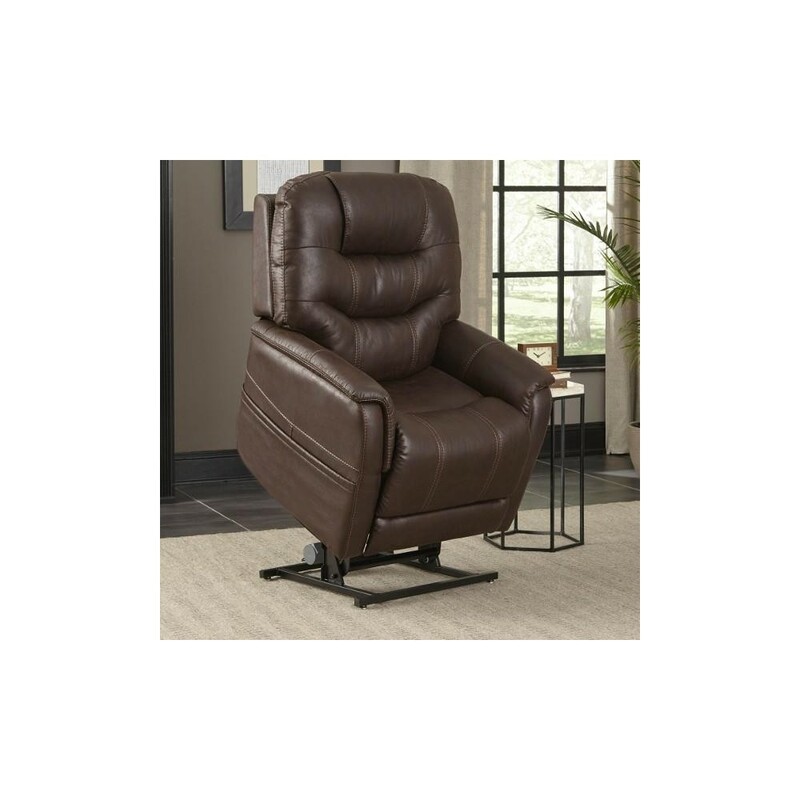 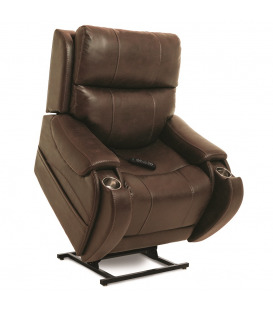 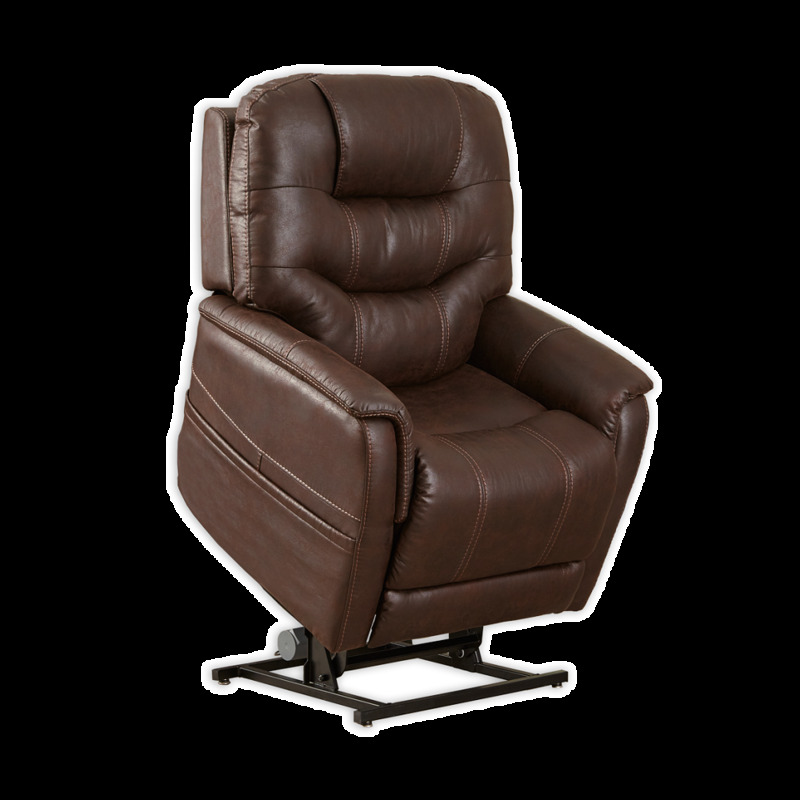 collection comes the Pride Elegance Power Recliner (PLR975M). 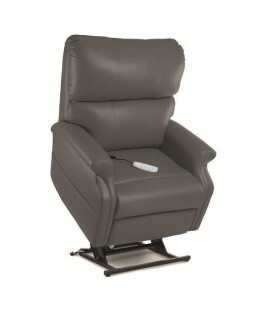 This is Pride's answer to the most customized power lift chair yet. 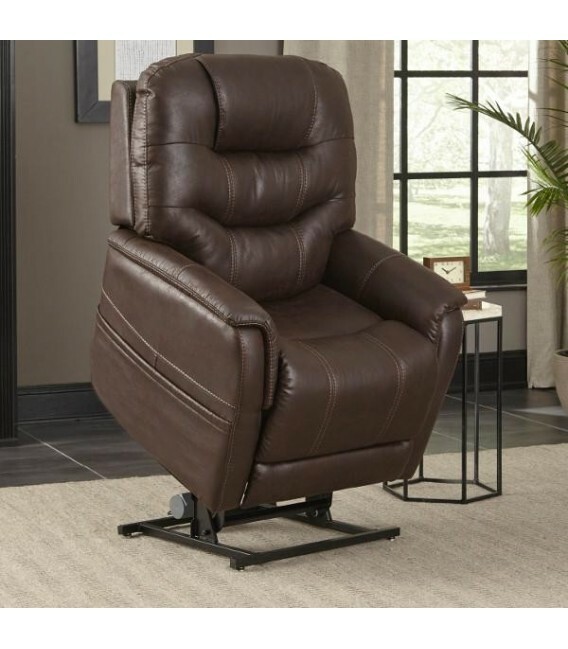 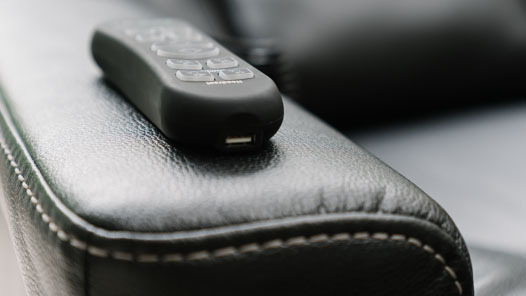 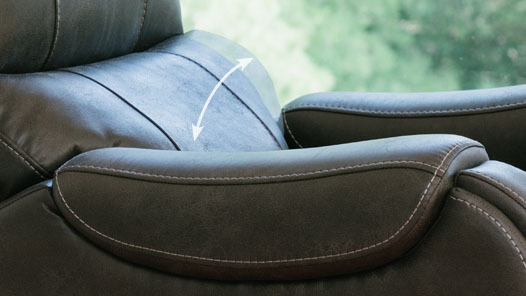 It features power lumbar support for personalized, ergonomic comfort — yes, that means you can adjust the lumbar support to suit your exact needs — plus a power headrest that seamlessly lifts and supports your neck, head and shoulders and provides endless viewing options. 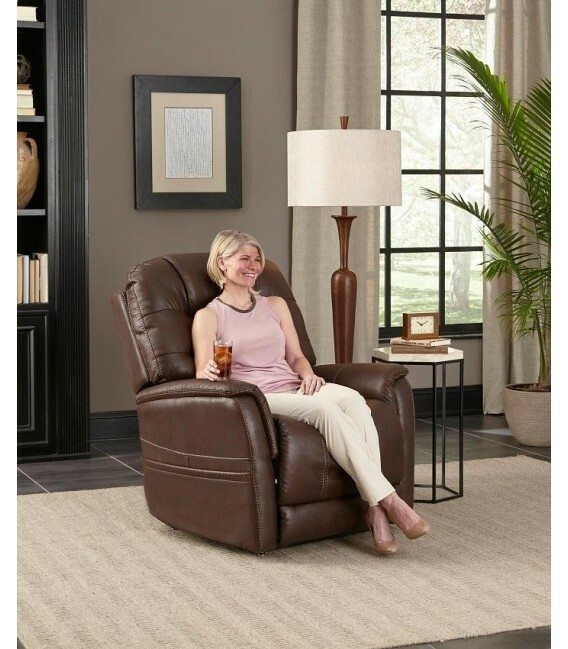 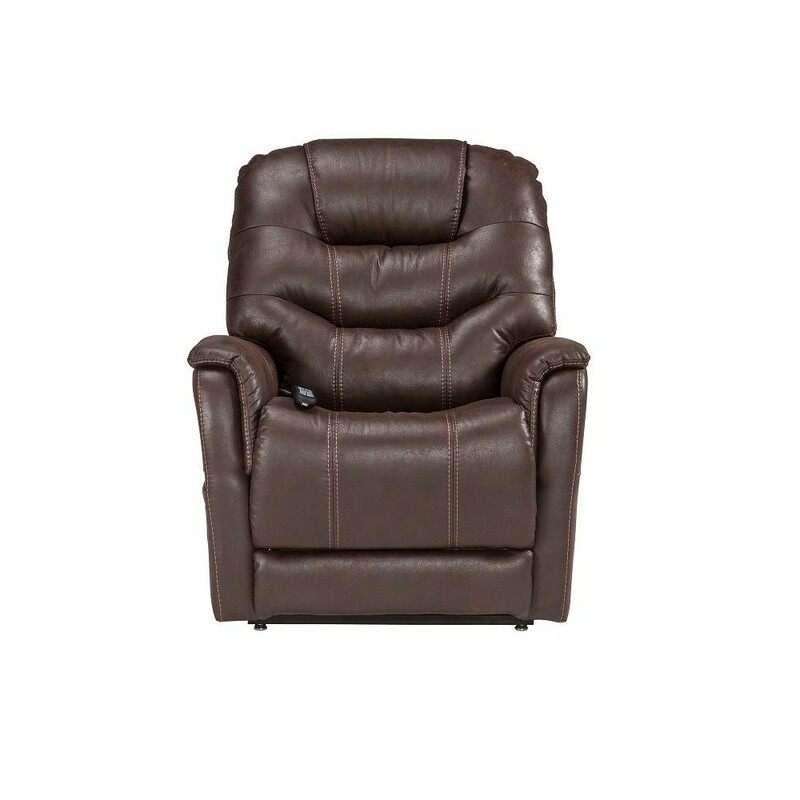 This four-position lift chair recliner goes from relaxed to reclined to flat to upward lift with the touch of a button! 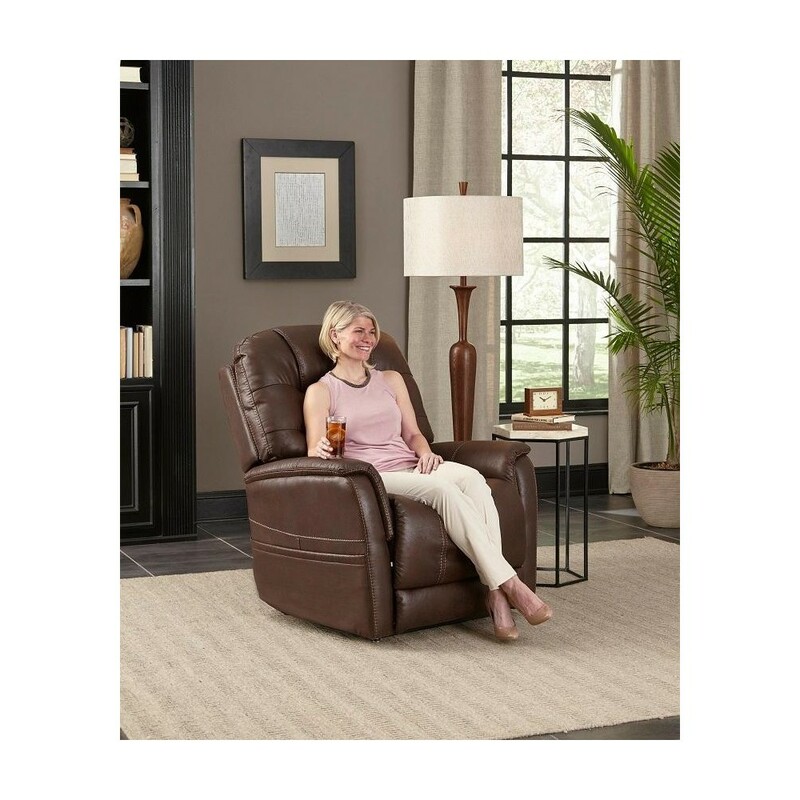 It's got plenty of smart, high-tech features, too, including a remote control with a USB charger port to charge your devices plus a lithium battery backup that lasts longer than traditional one-time-use backups. 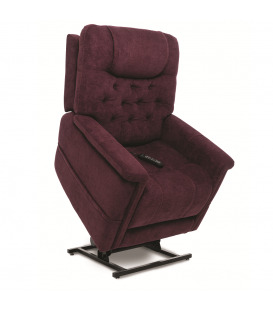 Plus, the stylish lift chair comes in an assortment of handsome colors to suit your space. 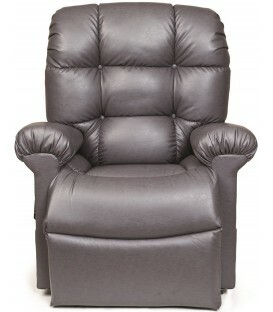 Height of User: 5'4" - 6' 5'9"-6'2"
Chair Weight: 152 lbs. 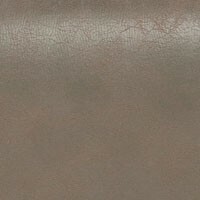 157 lbs. 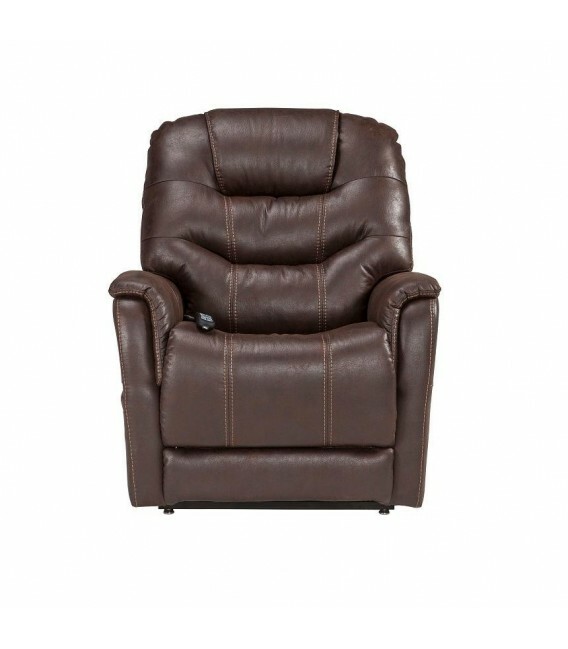 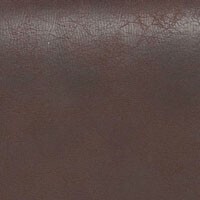 Distance From Wall: 14" 16"
Top of Back to Seat: 27" 30"
Overall Chair Width: 35.5" 37.5"
From the popular Pride VivaLift! 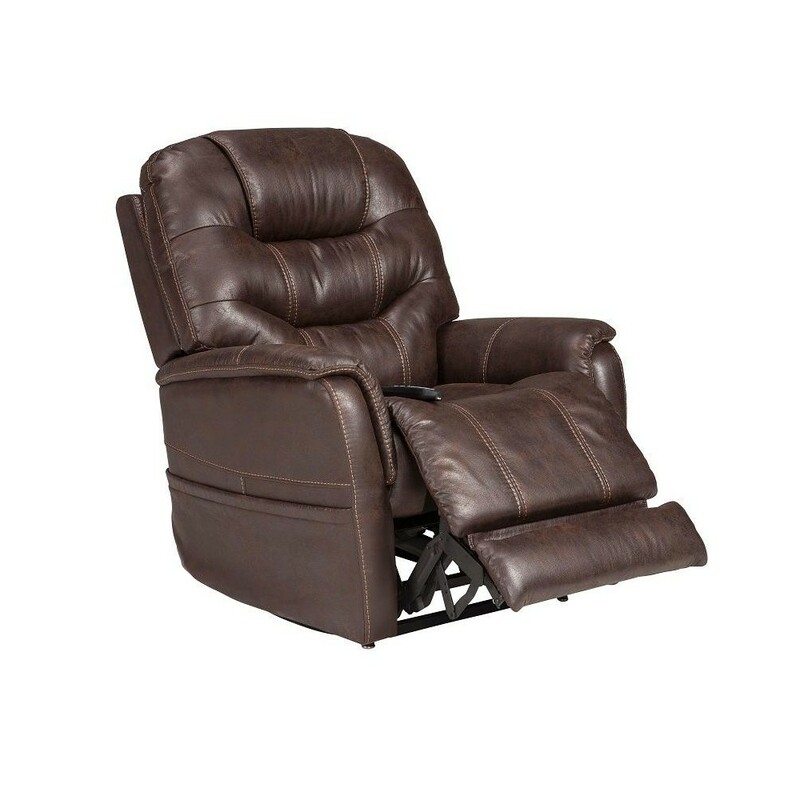 collection comes the Pride Elegance Power Recliner (PLR975M). 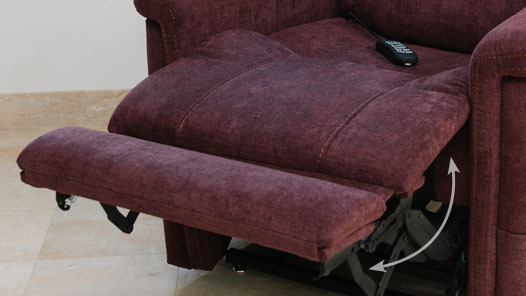 This is Pride's answer to the most customized power lift chair yet. 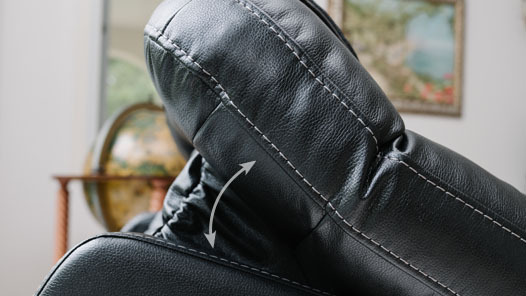 It features power lumbar support for personalized, ergonomic comfort — yes, that means you can adjust the lumbar support to suit your exact needs. 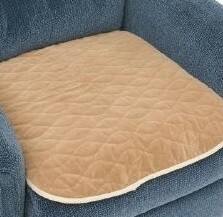 Available in Large also.